On May 11, the second annual Olympia Health & Nutrition Awards ceremony took place in Athens, Greece. 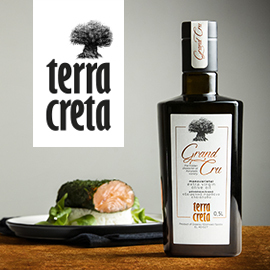 With 800 samples of olive oil from Greece, Spain, Italy, USA, Croatia, and Cyprus evaluated solely on the basis of their health benefits, 50 Gold Awards were presented to producers of extra healthy olive oil with over 1000 mg/kg of phenolic compounds. Many more olive oil producers took home Silver and Bronze awards for making olive oil that meets or exceeds the requirements for the only official EU health claim for olive oil. By extension, the EU health claim implies that the olive oil polyphenols it mentions may help protect against diseases related to oxidative stress, such as cancer, atherosclerosis, cardiovascular diseases, myocardial infarction, diabetes, rheumatoid arthritis, stroke, chronic inflammation, Parkinson’s, and Alzheimer’s. 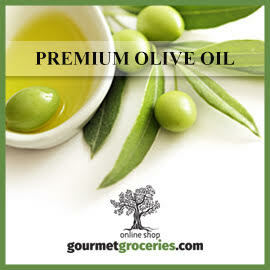 In 2012, New Food Magazine reports, the European Food Safety Authority (EFSA) approved Regulation 432/2012, which states, “olive oil polyphenols contribute to the protection of blood lipids from oxidative stress.” The EFSA limited this claim to certain polyphenols, including oleacein and oleocanthal, and to olive oils that contain “at least 5mg of hydroxytyrosol and its derivatives (e.g. oleuropein complex and tyrosol) per 20mg of olive oil.” These are the polyphenols and minimum amounts considered for the Olympia Awards, but many of the awarded olive oils include far more healthy polyphenols than the EFSA claim requires. The first edition of the Olympia Health & Nutrition Awards took place last year in Ancient Olympia. This year, the awards were presented at the old parliament building in Athens during an informative event organized by the University of Athens in the context of the Interreg Med ARISTOIL project, which will develop innovative ways to measure, produce, and certify high phenolic olive oils eligible for the EU health claim, as well as educating producers and consumers about it, seeking to improve the competitiveness of the Mediterranean olive oil sector. Before the awards were presented, professors and researchers discussed agricultural innovation, research on olive oil’s health benefits, and the founding of the World Olive Center for Health, which is being inaugurated as part of the ARISTOIL project to certify olive oils with the EU health claim, to organize the Olympia Awards (along with the University of Athens), and to carry on or support research about olive oil’s health benefits. As Dr. Prokopios Magiatis, Associate Professor in the Faculty of Pharmacy at the University of Athens, explained to Greek Liquid Gold, “every producer that submitted [olive oil] samples for analysis between October 2016 and April 2017 in our lab and had at least one sample eligible for the health claim was awarded. If the best sample of a producer was >1000 mg/kg, then the award was gold. If it was between 500 and 1000 it was silver, and if it was between 250 and 500 it was bronze.” That is, all the producers of olive oils eligible for the EU health claim received awards. 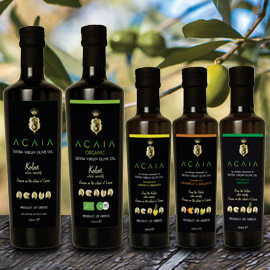 Producers did not pay a fee to be considered for the award; they paid only for an analysis of their olive oil. Chloe Dimitriadis of Biolea, another Cretan company, told Greek Liquid Gold their Gold Award validates “all the hard work and passion we put into our cultivation and production.” Aiming to discover their olive oil’s phenolic content, not to enter a competition, they were pleasantly surprised by their award. 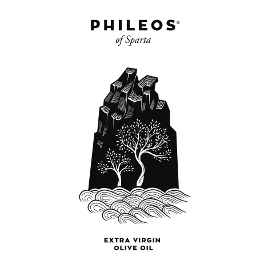 Dimitriadis adds, “the Olympia Awards are important because they emphasize that consumers need to be looking at olive oil quality beyond just the words ‘extra virgin’ on a label. High quality in olive oil does not just depend on acidity, and it does not just depend on organoleptics,” or the oil’s flavor and aroma. Nikos Charamis of KASELL S.A. in Lakonia, Peloponnese, another Gold Award winner, comments that his company’s multiple awards for their olive oil’s health benefits “establish and strengthen the belief in both consumers and customers that we are producers of healthy EVOO.” Charamis is proud that his company is, as he says, “the only one who can produce this quality in such a great volume” in Greece. The complete list of 2017 Olympia Award winners will be included in the Health Leaders International magazine that supported the event. 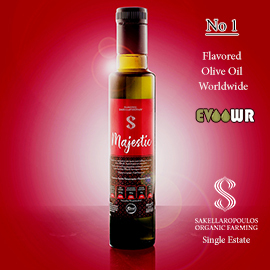 Prokopios Magiatis explained to Greek Liquid Gold that a website now under construction, tentatively titled The Olive Oil Revolution, will eventually “present and promote all the commercially available oils that will be awarded through the World Olive Center for Health,” acting as “a portal through which all people will be able to find high quality olive oils with a certified health claim. 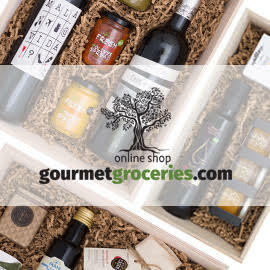 The income from this website will be used exclusively for the support of research on olive oil and health.” For now, here is the impressively long list of Gold Award winners, producers of olive oils with an astounding 1000 mg/kg of phenolic compounds—or more. Most of them are producers of ultra healthy Greek extra virgin olive oil! Thanks to Prokopios Magiatis for his help with this article and for permission to share these photos. Thanks also to the producers who offered comments.